Three times, in D&C 84 verses 55, 56, and 57 the Lord tells the entire church that they are under condemnation because they have treated lightly and perhaps ignored “the new covenant, even the Book of Mormon and the former commandments which I have given them.”  Note that it is their lack of remembering the “former commandments” contained in the Book of Mormon that has brought upon them this condemnation. Jesus himself claims authorship of those former commandments and tells the saints that they constitute a new covenant. Now let’s circle back again to what Joseph said about the precepts in the Book of Mormon and how that pertains to it being the most correct of any book on earth. “Most correct” doesn’t mean flawless, and judging the correctness of the Book of Mormon with regards to punctuation, spelling, or grammar misses the mark. 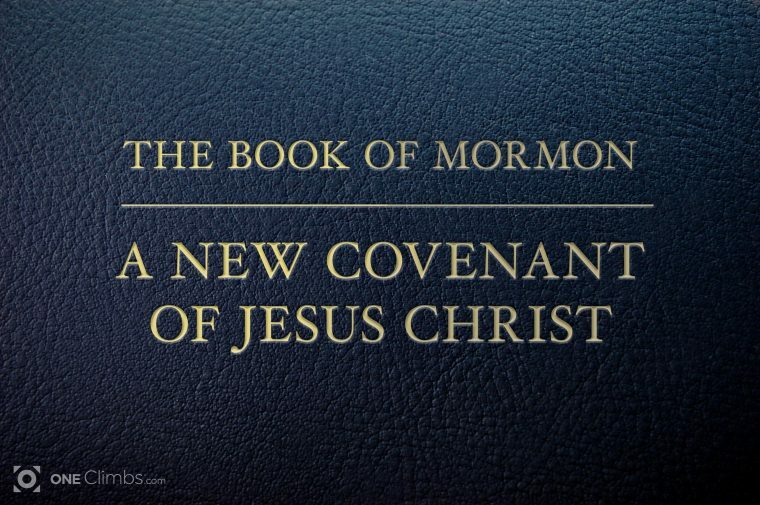 The addition of the subtitle”Another Testament of Jesus Christ” to the Book of Mormon in the 1980s is deeply significant. Why was that subtitle added and what does it mean? For the longest time I simply assumed that it meant “Another Witness of Jesus Christ” because of the additional stories about Jesus that are in it. I still think that this is true on one level, but I think there is a much more powerful and significant reason the word “Testament” was used. Great write up. I have thought the “former commandments which I have given them” were the commandments given from the Lord through Joseph to us. “Them” being the saints, whom DC 84 is referring to. Thoughts? You are probably correct in the technical sense. Here is some food for thought though. 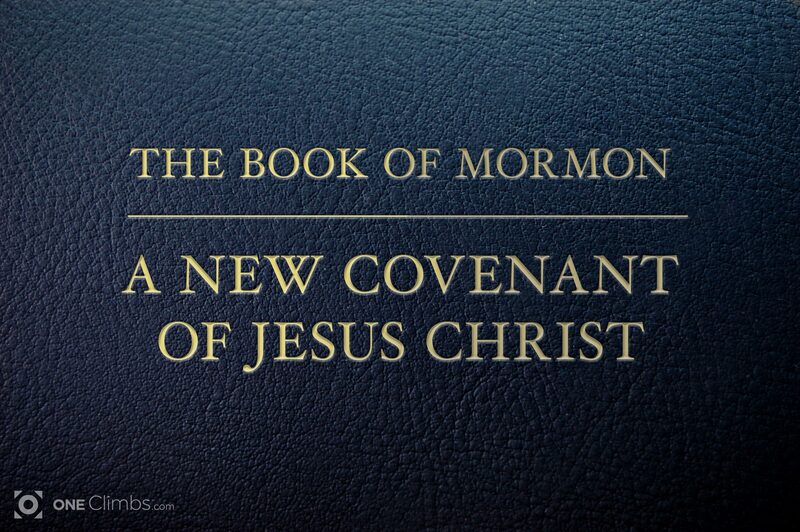 If the Book of Mormon is a new covenant, then what are the terms of that covenant? Typically covenants have binding language and certain promises, etc. What about those things that are commandments in the Book of Mormon, and those things that pertain to this land? Are they still in force, are they renewed with today’s saints? If anything, the verse could seem to indicate “that which I have written” could include the Book of Mormon along with it’s commandments and anything else he’s revealed up to that point. That’s my take at least. There’s a reason Mormon’s won’t allow us Freemasons to become members. It’s because the ‘tablets’ Joseph Smith obtained were actually the little blue books in the footlocker of his wife, he maried the widow of a Freemason. All Mormon rituals are Masonic allegories. In our books we leave out words that only we would know so that people can’t copy it; Mormon rituals are Masonic rituals with those missing words replaced with ‘Jesusy’ sounding words and random bible stuff. The inner temple ritual of theirs is the third degree raising ceremony of ours. Joseph Smith was a thief. He was known for being a thief in life, and was eventually lynched by an angry mob for his scam artist ways. And yet in his death pulled off the ultimate scam and perpetuated the myth that his stolen words from books in a foot locker of the widow of a Freemason were divinely dictated. Freemasonry is not a religion nor a substitute for religion. We openly tell new members this, as it’s morality taught through allegory with the use of symbols as memetic tools. So to see entire religions based off of stolen rites is nauseating. Scientology did it too, as did ‘Wicca’. Not as verbatim as Mormonism though, they added poetic flair to theirs. Mormonism lifted it wholesale. You can actually be a Mormon and a freemason, there isn’t any kind of screening process that would prevent a mason from being baptized. I’ve known and run into many Mormon masons over the years. It is well-known that Joseph Smith appropriated masonic themes when crafting the Mormons temple endowment. That isn’t really a unique thing either, Mormons believe in accepting all truth wherever it is found and understanding it within a greater context. Our temples are inspired from architecture around the world and we use pews, hymnals, pianos, and organs, that were borrowed from Protestantism. Masonry itself appropriated symbols, themes, and ideas from at least the Bible, Hebrew and Christian traditions to create a narrative and model to suit a specific purpose that is non-religious in nature. I wouldn’t say that masonry ‘stole’ those ideas though or that the people who created it were ‘thieves’. They saw something of value in specific religious traditions and used those things to create something they saw as good and useful. I’ve studied freemasonry perhaps a little more in-depth than the average person but I claim no expertise by any stretch. I understand that it isn’t a religion and that people of various faiths can participate. I think it would be incorrect to say that Mormonism is based on masonry, however. All things considered, the creation, fall, and atonement, or the traditional Christian narrative let’s say, is at the core. It’s also true that the temple is inseparable from Mormonism. In the context of Mormonism, the temple’s purpose is connected to the fulfillment of the Abrahamic covenant and the gathering of Israel. The temple endowment has another purpose as well. It does use similar and even identical forms as masonry but the overall narrative is based on the creation, fall, and atonement while masonry tells the story of Hiram Abiff and centers around fidelity and brotherhood; an allegory of morality as you have pointed out. I don’t there was an attempt to hide these similarities, many Mormons were masons and had lodges. I think the idea there was that they found value in the masonic ‘model’ so to speak and applied it to their own community for similar as well as unique purposes. Many things were left intact probably because they worked well. This model that already incorporated religious symbolism that masonry utilized from the Abrahamic religions inspired another use within Mormonism. That said, you are certainly entitled to your perspective and I respect it. I don’t claim to know everything and I won’t try to. I’m not a scholar, I have no profound position of influence in the world. This is my personal blog where I share things that I happen to be studying at the time and anyone is free to comment as long as they are respectful and can constructively contribute to the topic of the post. Where in the world did you get that picture of the Book of Mormon? The cover is almost entirely wrong! Well, it is definitely not the cover of a standard Book of Mormon, it is a graphic that I made for this post in Photoshop to look similar to a Book of Mormon cover. To understand the context of why it says what it does you would need to read the post.